Pricing New? Start here Membership Requests Connect with us! About About Us Our Teachers Facilities Learn New to Yoga? Private Yoga Yoga Teacher Training Meditation Teacher Training Join Pricing New? Start here Membership Requests Connect with us! Step 1: Start an Account here. *If you already have an account with us, please don’t fill this out. You can log-in to your account here. · Please arrive early! We recommend 15 minutes before class to ensure you can be set up and ready for the doors to close at start time. · Early registration not always necessary but definitely recommended. · If you have pre-registered for class, you'll need to arrive at least 2-minutes before start time otherwise, if class is full, we will give your space to the next person on the waitlist. · If a class is full or if you are more than 10-minutes late to class, our front desk staff has been advised to not permit entry. This is to protect the space of the room but also to protect you from jumping into movements without properly being warmed up. 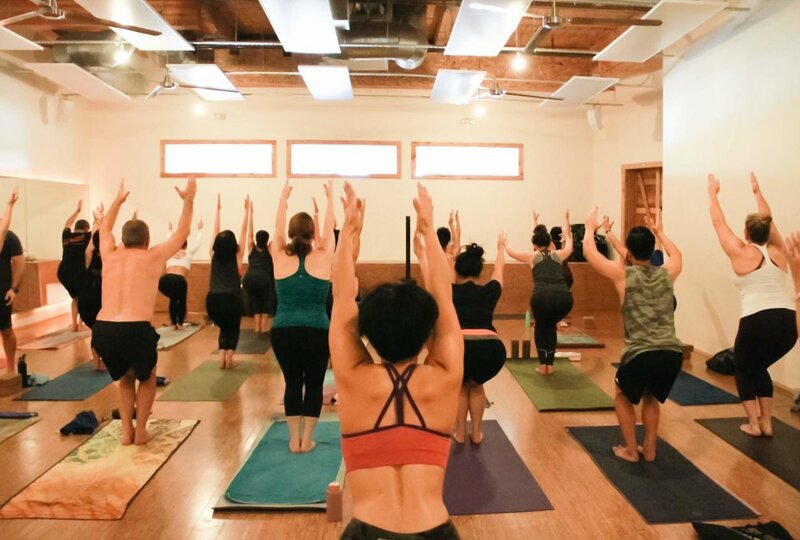 · Please understand that before class a teacher may ask you to move closer to each other, however, if this is highly uncomfortable for you, please email us to arrange private yoga sessions. We offer private sessions for small groups (families, office, friends) or individuals based on your schedule and co-create a program to suit your needs. This is an excellent way dive deep into to the practice without the overwhelm of a crowded room. · Please be prepared to stay to the end of class. If you have a special consideration, please let your teacher know before class begins that you will have to leave. Leaving early is strongly discouraged as it can disrupt the energy of the room. The final meditation, Savasana, is the fruit of the practice. · Cell Phones + Personal Items – Please keep phones, purses, extra clothes, etc. in the lockers (bring a lock) and cubbies provided. Taking a break from technology is part of the process. If you have a special consideration, please let your teacher know before class. Yoga mat, towel, and water is about all you really need to bring into the room. · Scents – Please refrain from the use of perfume or body mist before you come to studio as some folks have sensitivities. · Mats – in a crowded room it can be hard but try your best not to step on anyone else's yoga mat. · Lost + Found is cleared out at the beginning of every month. If you left something behind, please retrieve as soon as possible or let the front desk know you’re coming for it!